Esther Esabod Aboderin today’s appreciating a mentor day..
We must find time to stop and thank the people who made a difference in our lives...mum I wanna use this medium opportunity to appreciate you ma.you are a truly a great mentor people like you is hard to find,difficult to part with and impossible to forget ...thanks for all you have taught me.the knowledge and wisdom you have impacted in me and so many people on social media,has been a great help and support. A coaster bus belonging to Imo state Actors Guild of Nigeria, today was involved in a ghastly accident, along Onitsha/Owerri road. According to reports, the group were on their way back from the burial of the sister to the National chairman of AGN, Emeka Rollers. Though no life was lost, only a few sustained injuries in the accident.The incident happened near Okija, Anambra State, after the bus recently donated to them by Gov. Okorocha, veered off the road with lead to the accident. Fortunately, no casualty was recorded but many of them suffered varying degrees of injuries and were promptly taken to the hospital. "I we never bow down to anything image, this is not our help, no movement always be there no shaking, follow the word of God and believe in the gospel. Some people have be Deceiving whit empty word"
The man accused of stealing the Oscar statue won by Frances McDormand, has pleaded not guilty to theft at a court in Los Angeles. Terry Bryant, 47, was arrested on Sunday night after actress McDormand's award went missing briefly at the lavish Governors Ball party in Hollywood, where Academy Award winners have their statuettes engraved. 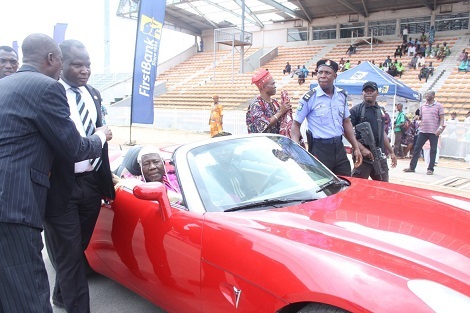 Olubadan of Ibadanland, Oba Saliu Akanmu Adetunji today stole the show at Obafemi Awolowo Stadium, Liberty Ibadan, which was the venue of the Ibadan week Award ceremony. The Bayelsa State Police Command on Tuesday, arrested a suspected cult member and pipeline vandal, Temona Boleigha Alison. A Zambian boy who attends one of the rural primary/community schools in Luapula Province of Zambia, has been trapped in a tree cleft while he was playing. Ghanaian actress, Yvonne Nelson has revealed that she does not regret giving birth to her daughter out of wedlock. 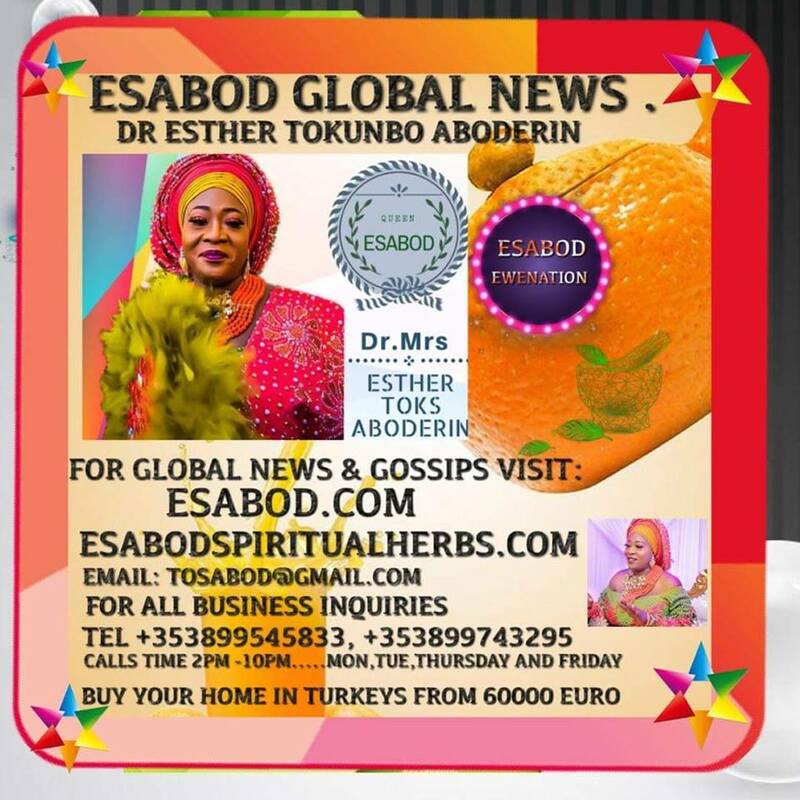 A 72-year-old Nigerian woman has become instant internet sensation after a photo of her Facebooking went viral. The digital woman who according to reports, enjoys meeting people on Facebook, Instagram and WhatsApp could be seen on a chair fiddling with her tablet. Yea, I know you all will rush down to see this post lol. 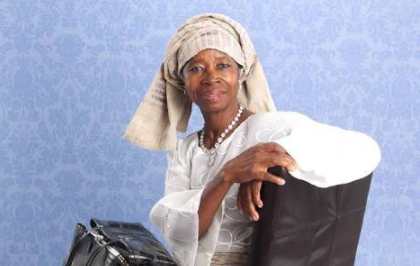 Well, it's true... Mrs Tola Adenle is a Nigerian blogger who started publishing in the early 70's. As a matter of fact, she printed Nigeria's first quality women magazine, EMOTAN before our madams, Aunty Betty and co started. And hmm, lets just say she paved way for all of us, lol. Isn't she gorgeous? Suspected gangs of kidnapperd/armed robbers, cattle rustlers and car snatchers terrorizing FCT-Niger - Kaduna - Plateau - Katsina - Nasarawa - Zamfara states alongside locally made prohibited firearms fabricating gang, were arrested and paraded by Bosso Division Public Relation Officer, CSP Jimoh Moshood on 7th March, 2018. A Junior Secondary School student at Ohafia in Arochukwu Local Government of Abia State has reportedly gave up the ghost after excessive consumption of Tramadol, which was said to be 10 tablets of the drug. The statement which followed the incident was made by the Commandant of National Drug Law Enforcement Agency (NDLEA), Mr. Akindele Akingbade. In the past, couples’ photo sessions were typically limited to wedding days and babies’ births. Today, however, more and more twosomes are opting to celebrate their longterm love with anniversary photo shoots. Popular Ghanaian singer, MzVee, in a recent interview, has revealed why a death prophecy will never come to her. Since the death dancehall artiste,Ebony, some prophets have claimed to have prophesied her death. The accuser who appear to be a former Babcock called out the musician’s girlfriend on Twitter describing her as dirty in his post. Award-winning rapper,Olamide has finally proposed to his baby mama, Bunkumi, on her birthday, which is today..
Big Brother Naija 2018 Housemate, Tope Adenibuyan,Teddy Badman A, was arrested in Dallas, Texas in the year 2013, but it apparently, wasn’t for a serious crime. The singer was arrested for driving without headlights, speeding and display of expired license plate. A Nigerian wife has set fire to husband’s house as he intends to marry another woman a month after marrying her. The angry wife, who is against her husband’s polygamous plan that is coming barely two months into their marriage, insisted that it is too early to bring another woman as wife into the family. Mariah, the daughter of late Taraba state governor Danbaba Suntai, took to Insta-story today to allege that her maid has been stealing gold jewelry worth millions of naira from her. The maid, who also stole her daughter's 500,000 naira bracelet, has been handed over to the Police. Mavin records boss, Don Jazzy says he feels that the relationship between Big Brother Naija housemates Miracle and Nina is just a game. Davido and his lover, Chioma Rowland, have once again proven to trolls that their love can of couse stand the test of time..
Lagos State Governor, Akinwunmi Ambode has approved the appointment of Mrs. Adesumbo Idiat Abolarin as the Auditor-General for Local Governments in the State following the statutory retirement of the incumbent, Mr. Musibau Olatunji Jimoh who served from 2014 to 2018. Police in Ampang, Malaysia, are trying to identify the man who masturbated in front of a 53-year-old woman while both were riding in the elevator of an apartment unit at 4pm on Tuesday, March 6. It is rather funny the length some parents can go trying to pry into their children’s marital life, and this recent one we stumbled on has revealed it thus. 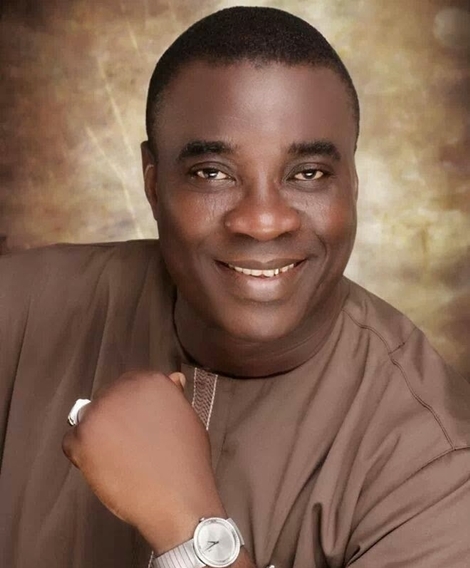 Popular Nigerian Fuji musician, K1 De Ultimate, who is known for introducing the genre to the sounds of keyboards, saxophones and guitars is a successful musician and his magnificent mansion in Ijebu Ode, has said it all. Some youths, suspected to be cult members, clashed with some traders at the Ekiosa Market in Benin, Edo State. No fewer than six other persons were reportedly injured during the fracas.But the Commissioner of Police, Mr. Johnson Kokumo, said no one was killed during the clash. A man has reportedly chopped off his son’s hand in Hyderabad on Monday. The teenage boy was allegedly getting addicted to pornorgraphy on his smartphone despite repeated warnings from his father.The man identifid as Mohammad Qayyum Qureshi (45), a butcher by profession of Jalpalli colony in Pahadishareef area in the old city, surrendered to the police stating that he had chopped off the right hand (between wrist and elbow) of his son, Mohammad Khalid Qureshi (18), who works as an assistant at a local cable television operator. Nigerian comedian and musician, Koffi Tha Guru is today elebrating his 10th wedding anniversary with his beautiful wife, Ayoka. Trouble first started when Alex wanted to use Cee-C's duvet to wipe her glasses but Cee-C opposed and warned her not to. 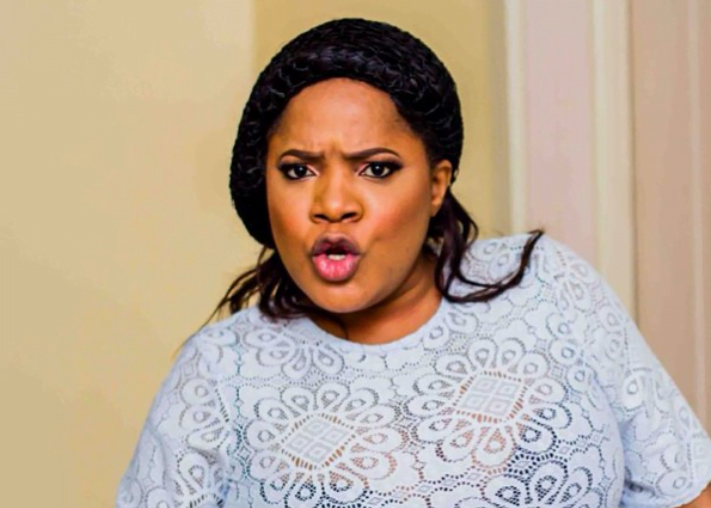 In another scene, Alex snapped her fingers at Cee-C which caused the heated clash that they had to be separated from each other. Oyo state governor, Abiola Ajimobi's son, Idris was pictured praying by the roadside alongside other Muslims. Hours after a Bus Rapid Transit, BRT, bus crushed a 16-year-old school boy, Daniel Ezekiel, to death at Ogolonto Bus Stop, along Ikorodu Road in Lagos, his guardians – Dr. and Mrs. Olajide Oyesanya, are yet to come to terms with the tragic reality of their loss. Vanguard reports they are still in shock that their beloved Ezekiel is gone forever, and more so by the bizarre and cruel manner of his death. 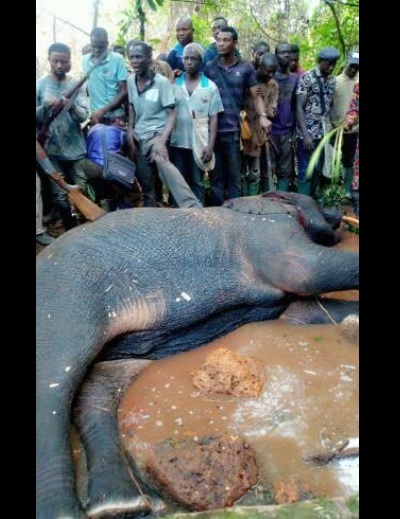 A Facebook user identified as Veronica Agbelusi, has taken to the social networking platform to share photos of an elephant killed by a famous hunter at Janiyi camp, Idanre in Ondo State. The identity of the hunter or whether he was arrested by security officials for killing such a wildlife animal were not ascertained as at the time of filing this report. It was pandemonium yesterday as the deadliest ritualist in an undisclosed community was reportedly apprehended by security operatives. A facebook user, Doris Ada Kamuche who shared photos of the decomposing bodies recovered from a well used by the alleged ritualist, revealed that ritualist is now in police custody. The Senate today rejected a bill proposing the option of wearing of skirts by female members of the National Youth Service Corps (NYSC). The bill which was sponsored by Sen. Emmanuel Bwacha (PDP-Taraba), was debated by the lawmakers today. A Texas church in Paino City surprised its members last Sunday by handing out checks in amounts from $250 to $1,000. According to KDFW-TV, Plano’s Preston Meadow Lutheran Church handed out $125,000 to its congregants that day. A lady identified as Bose Bamidele, 30, is currently under investigations after she was accused of defrauding her best friend, Glory Etuk of N1m and one Ms. Abimbola of N3.7m. 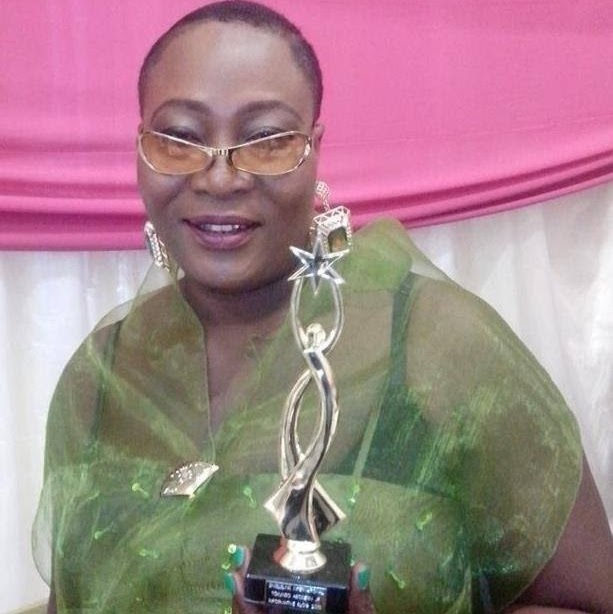 Ms. Abimbola allegedly succeeded in defrauding her victims by pretending to be other people on the phone. A Federal High Court in Abuja has sentenced Charles Okah to life imprisonment. Charles, who is the younger brother of Henry Okah, was also involved in the 2010 Independence Day bombing in Abuja. Also sentenced was one Obi Nwabueze, who also partook in the bombing. HAPPY BIRTHDAY TO MY GORGEOUS MUM; ANITA DHUNWANTEE EDUN aka MAMA RELE. Havent seen you in 18 YEARS but you are the reason i'm a FIGHTER! Stumbled on your old Mauritius Passport today and it brought back memories of all the sacrifices you made for us all, especially ME. The world's oldest message in a bottle ever discovered was stumbled upon on an Australian beach by a group of walkers. The group who found the bottle and the message in it are the first people to read the note since June 12, 1886. The group, which included the parents of Formula One driver Daniel Ricciardo, shook the bottle and a damp, rolled-up parchment that looked like a cigarette fell out.